After the First World War, Captain Lionel S. Challis of the Queen's Westminister Rifles, began a project that would consume much of his time over the next three decades. His goal was to develop a listing of every British Army officer who served in the Peninsular War from 1808 - 1814. 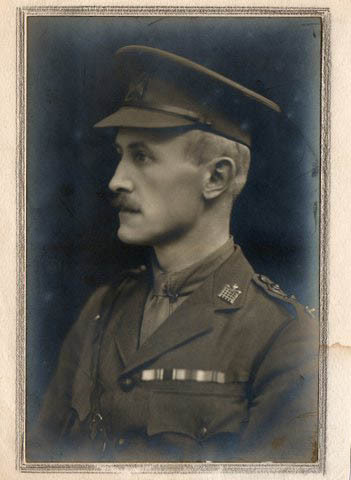 Captain Challis scoured Army Lists, Gazettes, despatches, official records, and regimental histories for information. He recorded what he found on more than 9,600 officers onto index cards, but realizing that the final product would be too expensive to publish, in 1949 he donated his research to the Royal United Services Institute (RUSI). The cards now reside in a cabinet in the RUSI Library. The Royal United Services Institute owns the copyright to the "Peninsula Roll Call" and has very generously given the Napoleon Series permission to publish it on the Napoleon Series. Editor's Note: I was recently contacted by Dee Challis Davy, the granddaughter of Captain Challis, who had not realized that her grandfather had spent much of his life compiling the "Peninsula Roll Call". She provided the following information from her family Bible. Lionel Stevenson Challis was born on 21 March 1881 at 2:00 a.m. He was baptised at Saint Savior's Church on Herne Hill Road on 25 may 1881 and confirmed in the Henry VII Chapel, Westminister Abbey on 27 March 1897. He married Eileen Clara Owen on 29 June 1915 at Saint Luke's Church, Redcliff Square SW, London. He had two children: Beryl Owen (born in 1918) and Richard Bracebridge (born in 1920). His youngest son is still alive as of December 2010. He has at least one granddaughter who lives in California, USA. Lionel Stevenson Challis joined a battalion of the Middlesex Volunteers of the King's Royal Rifle Corps (KRRC) as a lieutenant in 1904. In 1908 the battalion was taken on the strength of the Territorial Army as the 16th (County of London) Battalion The London Regiment (Queen's Westminster Rifles). He was promoted captain in 1912. Captain Challis commanded the Cadet Corps attached to the battalion with rank of captain in 1908 and resigned this commission in 1909. Between October and December 1914 he was seconded from the regiment, but no indication as to where or why. The 16th Bn. was mobilized in August 1914 and was in the 140th Brigade of the 47th (2nd London) Division in France during World War I. The battalion was disembodied in 1919, but reconstructed in 1920 and amalgamated in 1921 with the 15th Battalion to form 16th (County of London) Battalion, The London Regiment (Queen's Westminster and Civil Service Rifles). In 1922 it became the 16th London Regiment. In 1938, it was transferred to the KRRC as the The Queen's Westminster The KRRC in the Territorial Army. Territorial Decoration (TD) awarded for long service of twenty years in the Territorial Force (or its successor later the Territorial Army). War service counted as double time. How to Use the "Peninsula Roll Call"
1. The alphabetical listing of the officers that is at the bottom of this page is the easiest way to find an individual in the "Peninsula Roll Call". When you click on the specific individual, you will be taken to a page showing the scan of approximately 10 of Captain Challis's index cards, in alphabetical order, and among which will be that of the individual searched for. 3. Some of the cards are quite detailed, while others will consist of only one or two lines. Captain Challis made extensive use of abbreviations and at times they can be confusing. A partial listing of these abbreviations can be seen by clicking on: Abbreviations used in the "Peninsula Roll Call". 4. Captain Challis's handwriting is very old fashioned and at times can be difficult to decipher. The best way is to check name that you know, such as Jones or Smith, and see how he wrote the letters to use as a basis for deciphering. Please do not write to us asking us for help on his hand-writing. Your guess is as good as ours! 5. We have also included a spreadsheet that includes every officer in the "Peninsula Roll Call" and the units he served with. You can search it by regiment (e.g. all officers assigned to the 43rd Foot), by position (e.g. all officers who were an ADC), whether he was in the King's German Legion, or seconded to the Portuguese. The spreadsheet is in Microsoft Excel. To see the spreadsheet, click on: The "Peninsula Roll Call" Spreadsheet. Please note that the spreadsheet will not link you to the actual files. You will have to access them by going through the list of the names. 5. We recommend you read our Frequently Asked Questions, before you start searching the Peninsula Roll Call. The FAQs will answer many of the questions that you may have. 6. Occasionally, we find an officer who served in the Peninsula, but is not included in this edition of the "Peninsula Roll Call". They can be found in: Names That are not in the "Peninsula Roll Call". Acknowledgments: Many people helped to bring the "Peninsula Roll Call" online. In alphabetical order they are: Gary Donaldson, who wrote to the RUSI on our behalf. Paul Horsfield, who developed the initial guide to the abbreviations. Tim Mahon who was instrumental in obtaining permission from the RUSI for us the published it. Ron McGuigan and Howie Muir who joined me in spending many hours transcribing the names from the cards into our alphabetical index. Rory Muir, who coordinated with the National Library of Australia for permission to use their microfilm copy of the "Peninsula Roll Call". A Note to Those Researching Their Ancestors: Unless the individual you are researching was a general officer, there is little chance that we have any additional information on him other than what is on the card. Please do not write to us asking for more information. I recommend that you do a search of the Napoleon Series for your ancestor's name. If there is more information on your ancestor, it will be there. Our search engine can be found at: Search the Napoleon Series. Errors and Broken Links: Occasionally, Captain Challis made an error. We can not correct the actual files, but we have set up a page to note factual errors. You can see the corrections at: Corrections to Lionel S. Challis's "Peninsula Roll Call". Should you find that our spelling for a name is different than Captain Challis's or if the link is broken or does not take you to the correct file, please contact the Editor.